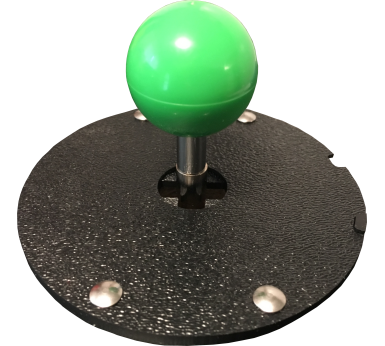 Northcoast Custom Arcades has proudly released our top switchable joystick restrictor that works with your existing joystick. With all of the new multi-game boards and arcades available on the market today, there is common problem. These multi-game boards have a combination of 8-way and 4-way games. For example, the 60 in 1 I-Cade jamma board: Ever try playing pacman on an 8-way joystick? The game plays horribly compared to an original 4-way joystick. Most of the multi-game cocktail arcades on the market ship with only a 4-way joystick. Well then how do you play 8-way games that are on the multi-game board such as Wild Gunman, 1942, etc? and is only 3/16" thick. * Works with any joystick. 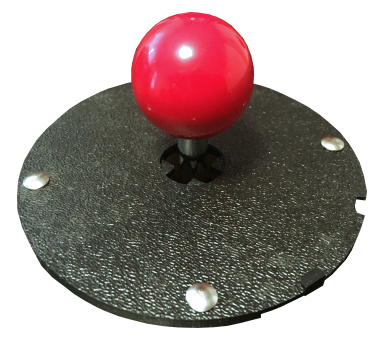 No longer are you limited to a handful of expensive top-switchable joysticks! * Switches from 4-way to 8-way (and vice versa) in seconds! For mounting on 5/8" or 3/4" wood control panels. 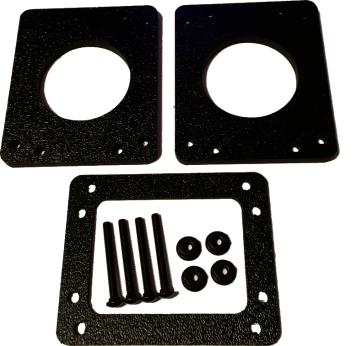 1/2" thick or metal control panels will require a spacer kit (sold separately). 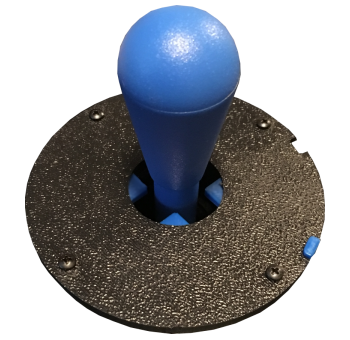 Comes with 4 mounting Bolts and nuts to mount restrictor and joystick.